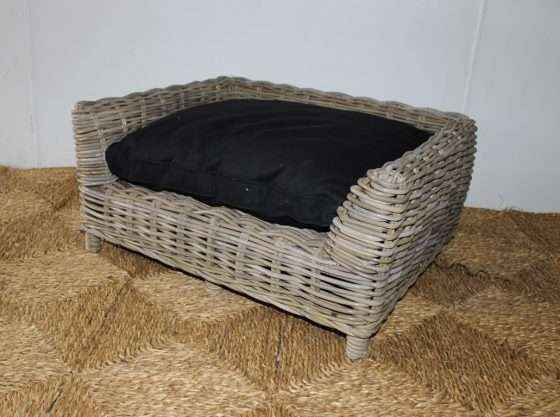 Our dog bed is fun, functional and comfortable for your pet, keeping them off the cold hard ground. Made from rattan, comes with a black cushion, available in 3 sizes. 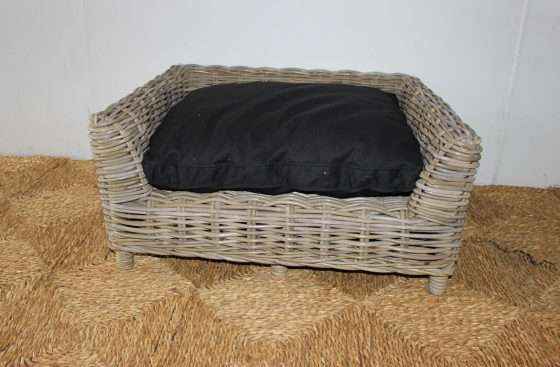 These dog beds are available in antique grey only. 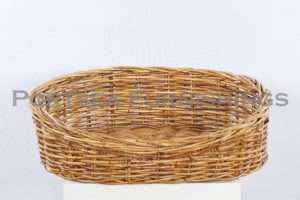 We also have the more old fashion oval shape pet basket. 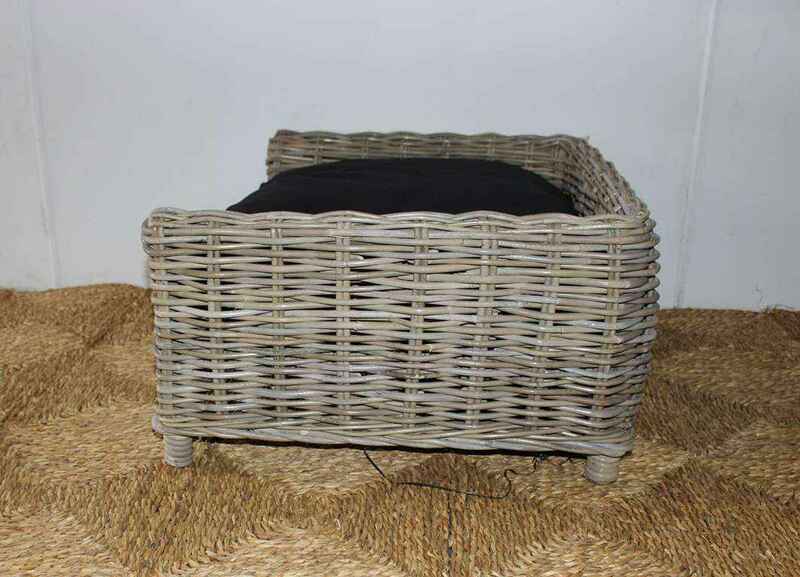 These are available in natural and antique grey.